1 of 2 In a medium bowl, combine lime juice, honey, mustard, 1/2 tsp of the salt and the pepper. While whisking, gradually add oil. 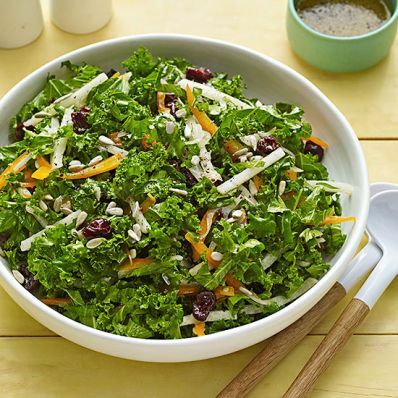 2 of 2 Combine kale, jicama, sweet pepper, cranberries and shallots in a very large bowl or on a large platter. Drizzle with 2/3 cup of the dressing and season with remaining 1/4 tsp salt. Toss to combine, adding sunflower seeds, if using. Serve with remaining dressing alongside.